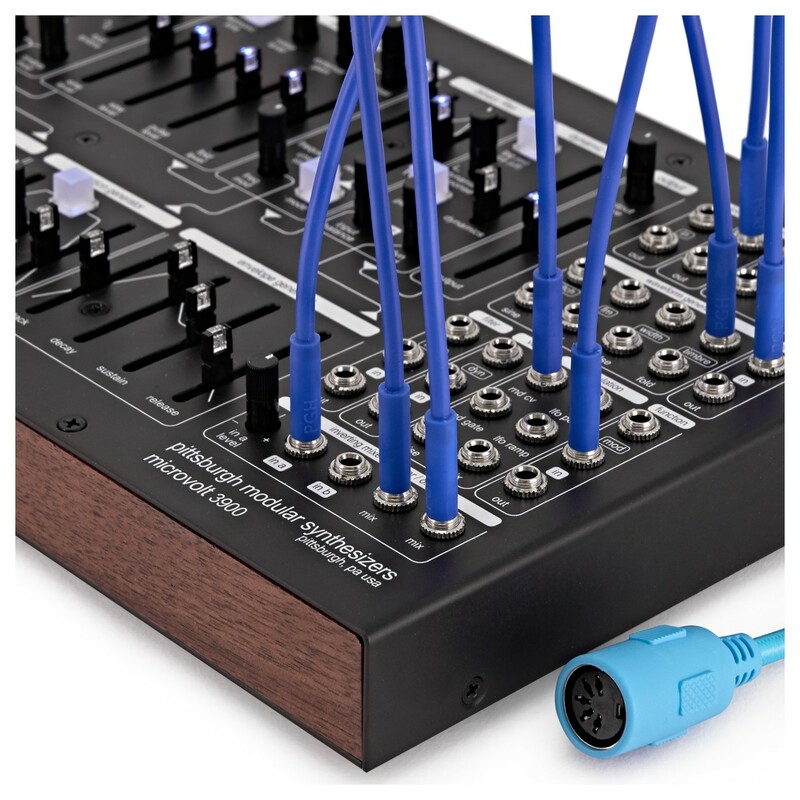 The Pittsburgh Modular Microvolt 3900 Patchable Synthesizer is a compact, desktop monophonic synthesizer featuring a pre-tuned analog oscillator. 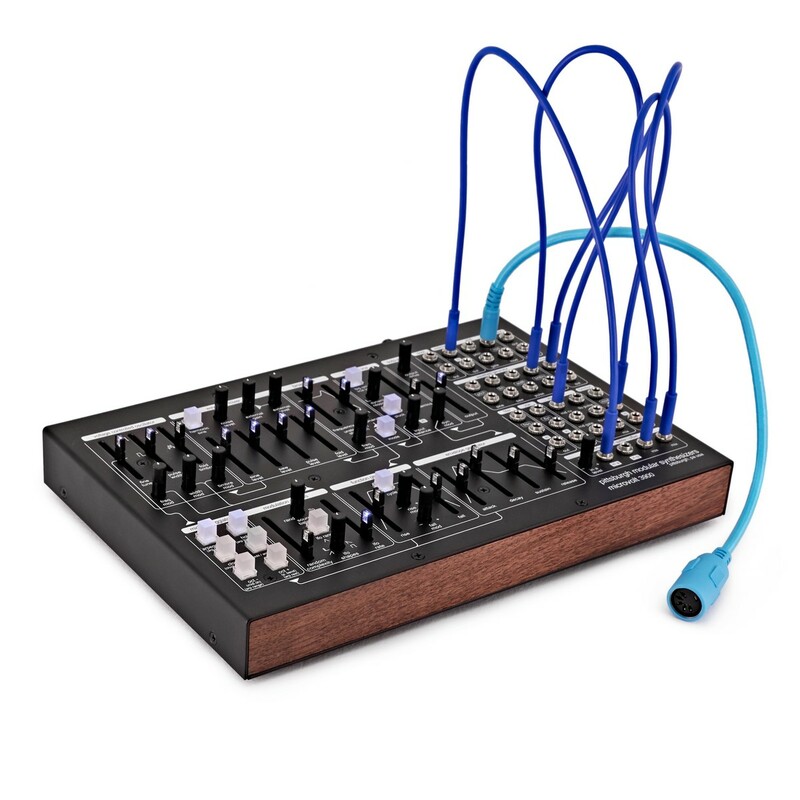 The Pittsburgh Modular 3900 is ideal for east-coast synthesis, combining elements of the west-coast sound for added flexibility. 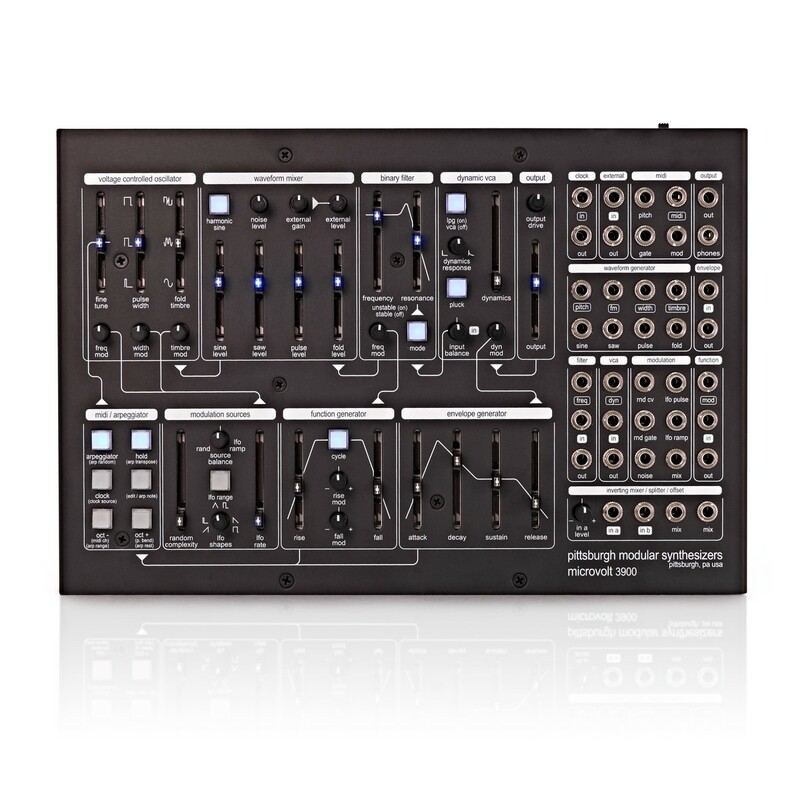 The Microvolt 3900 also features a state-variable 'binary' filter with 2 resonance modes. The mixer section gives you the ability to blend between waveforms for versatile sound design purposes. It also boasts a Dynamic VCA, comprised of a VCA and low-pass gate, complete with two operating modes. The pre-patched design provides fluid playability, with over 39 patch points in total. 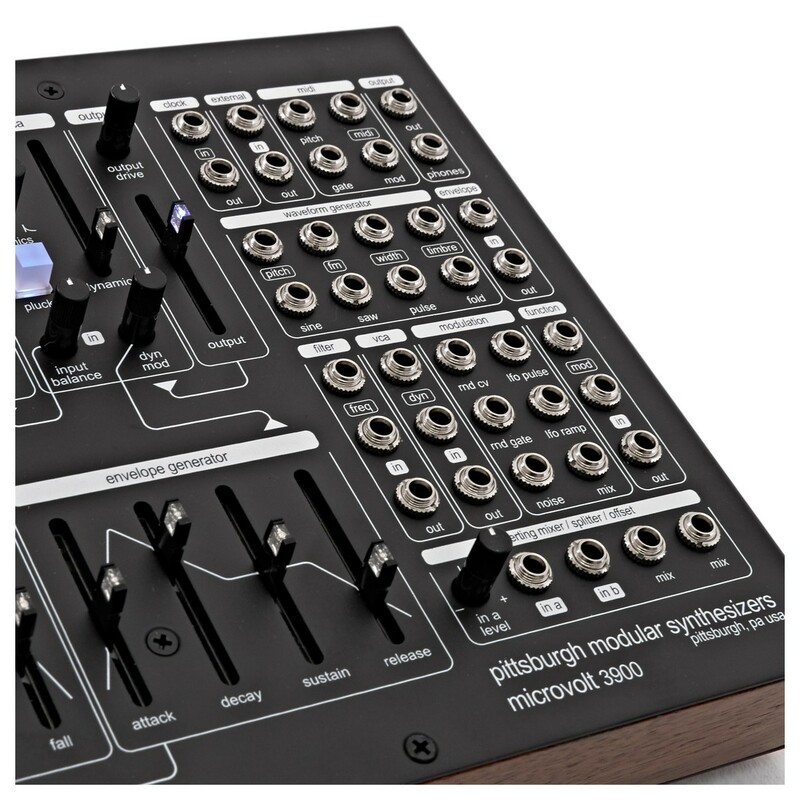 The Pittsburgh Modular Microvolt 3900 Patchable Synthesizer is a revolutionary desktop synthesizer featuring analog circuitry and a wide range of patch points. 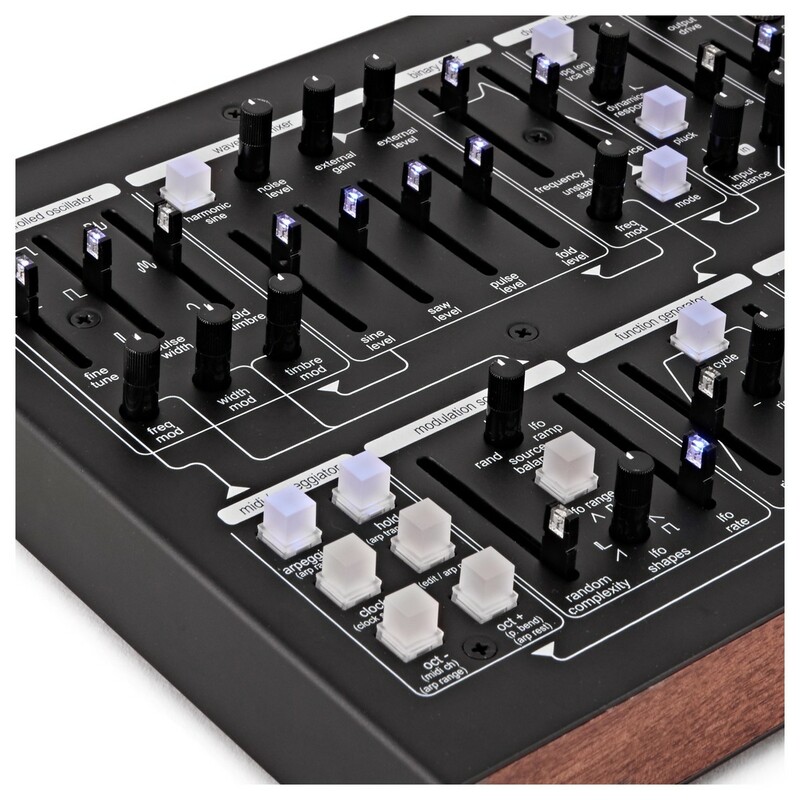 It combines east coast synthesis with elements from the west-coast theology, resulting in a highly versatile synthesizer that is ideal for sound design applications. It features a range of innovative features such as wave-folding, as well as a low-pass gate and function generator (which can also self-cycle) for flexibility when it comes to creating your desired sounds. 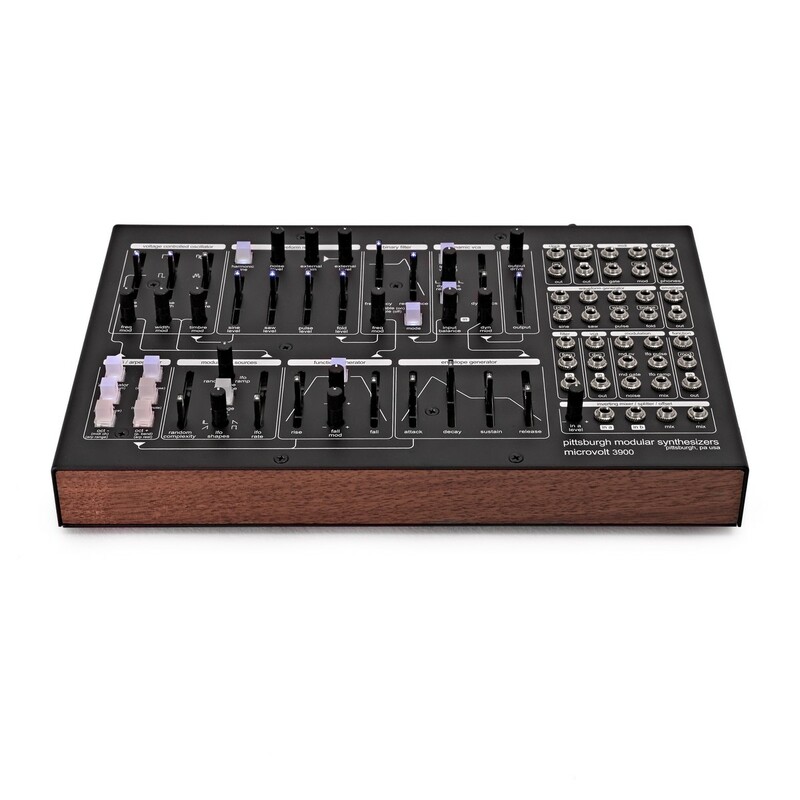 It also features a MIDI/arpeggiator section with buttons that allow you to switch the octave up or down as well as incorporate the clock functionality. One of the most unique features of the Micrvolt 3900 is the fact that is comes pre-patched for instant playability. This allows you to get started straight out of the box. It also boasts 39 patch points in total for incorporating a range of external equipment into your signal path. The mixer section of the synth allows you to blend waveforms together, creating interesting sonic results. It also comes complete with an external input, with a gain knob and the ability to create analog distortion. The full ADSR envelope allows you to sculpt and shape your sound, allowing you to change the dynamics of the sound. Next to the ADSR envelope is the unique function generator. This function generator can self-cycle for added flexibility, making for some interesting results. 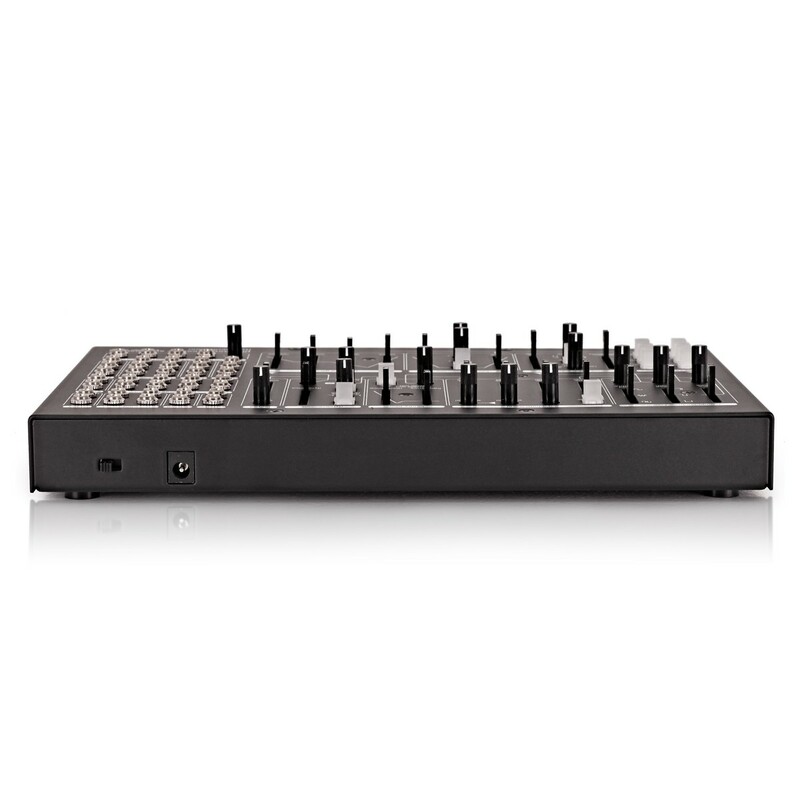 It also includes a dual LFO with Sample & Hold capabilities. A state-variable filter is also included in the form of the 'Binary' filter. This filter features a two-position switch for toggling between the resonance modes, allowing you to switch between soft and harder sounds. With 39 patch points in total, the Microvolt 3900 is highly versatile. The wide range of connections allows the synth to communicate and be controlled by external musical equipment. 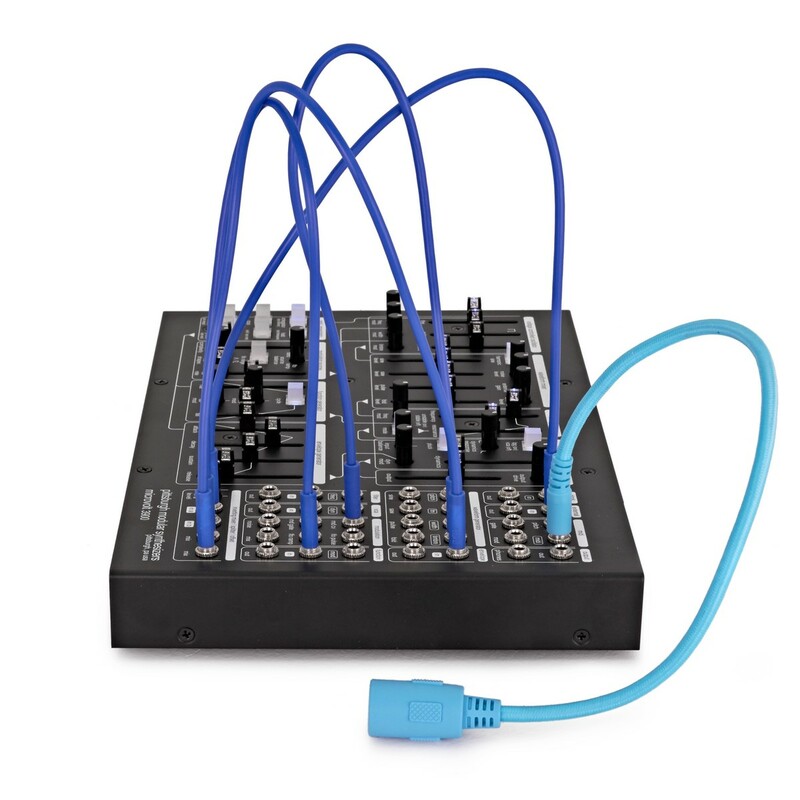 The patch sockets include connection for the waveform generator, filter, VCA, modulation, function, inverting mixer and more. The inverting mixer/splitter/offset section features a dedicated level control as well as two inputs and a 2 mix outputs.